4.1 Economic development - What is an LDC? In this section we will look at the nature of economic growth and economic development. 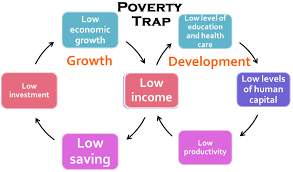 therefore transmitted from generation to generation, and there is a need for (Government and/or NGO and /or Private Sector) intervention to break out of the cycle.